Book: Hardy, A., Bennett, A., & Robards, B. (eds) (2018) Neo-Tribes: Consumption, Leisure and Tourism, Palgrave Macmillan. Article: Newett, L., Churchill, B., Robards, B. 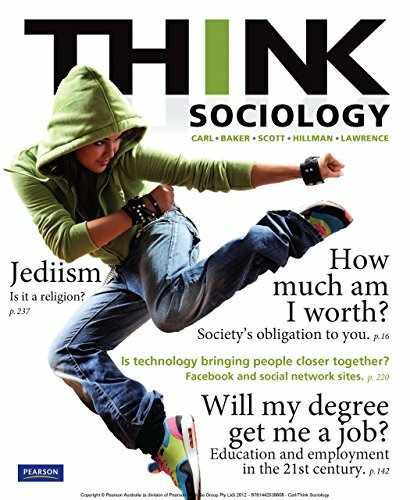 (2018) ‘Forming connections in the digital era:: Tinder, a new tool in young Australian intimate life‘, Journal of Sociology, online first. Chapter: Robards, B. (2018) ‘Belonging and Neo-Tribalism on Social Media Site Reddit‘ in A Bennett, A Hardy, and B Robards (eds), Neo-Tribes: Consumption, Leisure and Tourism, Palgrave Macmillan, 187-206. Chapter: Robards, B., Churchill, B., Vivienne, S., Hanckel, B., & Byron, P. (2018) ‘Twenty years of “cyberqueer”: The enduring significance of the internet for young LGBTIQ+ people’, in P Aggleton, R Cover, D Leahy, D Marshall & M L Rasmussen (eds), Youth, Sexuality and Sexual Citizenship, Routledge, pp. 151-167. Book: White, R., Wyn, J, & Robards, B. (2017) Youth & Society, 4th edn, Oxford University Press. Article: Hardy, A., Hyslop, S., Booth, K., Robards, B. J., Aryal, J., Gretzel, U. & Eccleston, R. (in-press, accepted 3/5/17) ‘Tracking tourists’ travel with smartphone-based GPS technology: a methodological discussion’, Information Technology & Toursim. Article: Robards, B. & Lincoln, S. (2017) ‘Uncovering longitudinal life narratives: scrolling back on Facebook‘, Qualitative Research, 17(6): 715-730. Article: Robards, B. (2017) “‘Totally Straight’: Contested sexual identities on social media site reddit”, Sexualities, 18(1): special issue on ‘mostly straight’, edited by M McCormack. Article: Lincoln, S. & Robards, B. (2017) ‘Editing the project of the self: Sustained Facebook use and growing up online‘, Journal of Youth Studies, 20(4): 518-531. Article: Vorobjovas-Pinta, O. & Robards, B. (2017) ‘The shared oasis: An insider ethnographic account of a gay resort’, Tourist Studies, online first. Article: Robards, B. & Lincoln, S. (2016) ‘Making it ‘Facebook Official’: Reflecting on romantic relationships through sustained Facebook use‘, Social Media + Society, 2(4), special issue on ‘Making Digital Cultures of Gender and Sexuality with Social Media’, edited by J Burgess, E Cassidy, S Duguay, and B Light. Chapter: Vivienne, S., Robards, B. & Lincoln, S. (2016) ‘”Holding a space” for gender-diverse and queer research participants’, in A McCosker, S Vivienne and A Johns (eds), Negotiating Digital Citizenship: Control, Contest and Culture, Rowman & Littlefield, pp. 191-212. Article: Hardy, A. & Robards, B. (2015) “The ties that bind: Exploring the relevance of neo-tribal theory to tourism”, Tourism Analysis, 20(4). Chapter: Robards, B. 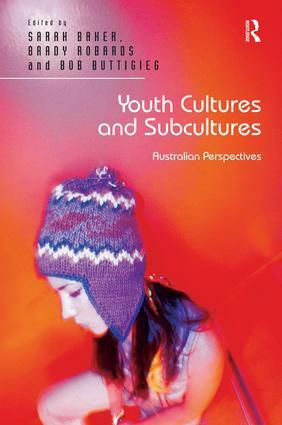 (2015) “Vernacular subculture and multiplicity in everyday experiences of belonging” in Baker, S., Robards, B. and and Buttigieg, R. (eds) Youth Cultures & Subcultures: Australian Perspectives, Routledge (prev. Ashgate). Chapter: Robards, B. (2014) “Mediating experiences of ‘growing up’ on Facebook’s Timeline: Privacy, ephemerality and the reflexive project of self” in A Bennett and B Robards (eds), Mediated Youth Cultures: The Internet, Belonging, and New Cultural Configurations, Palgrave Macmillan. PhD Thesis: Robards, B. (2012) ‘Systems of Belonging: Identity, Integrity, and Affinity on Social Network Sites for Young People in Australia‘, Griffith University.